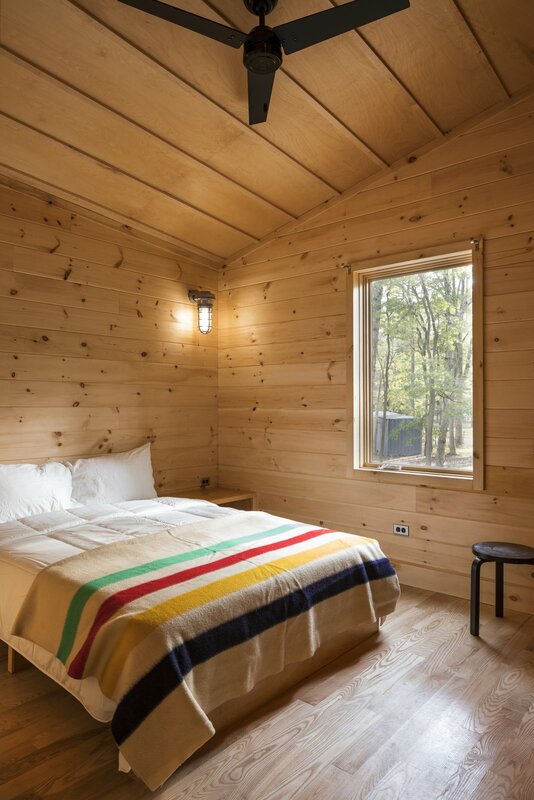 Cabins and tiny houses seem to be cropping up everywhere, from country homes to affordable housing. 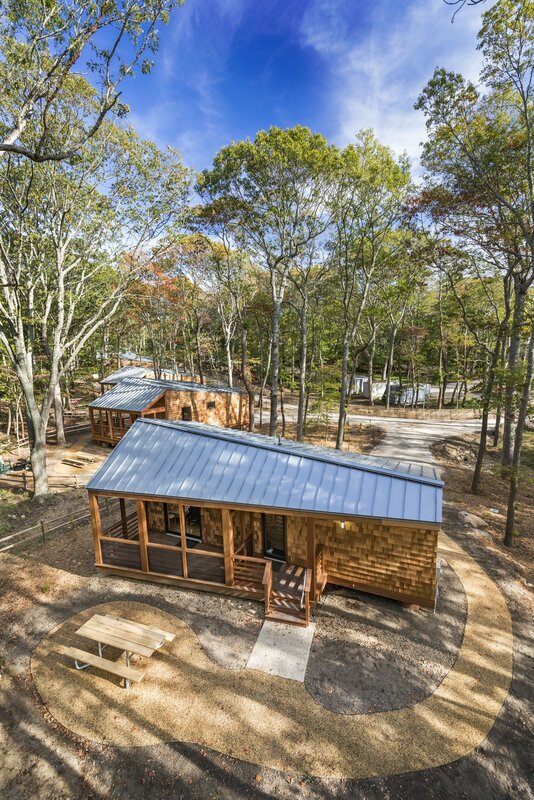 In Wildwood State Park on Long Island, New York City–based WXY Architecture + Urban Design has designed a cabin prototype, the NYS cabin, specifically for the Long Island campground. 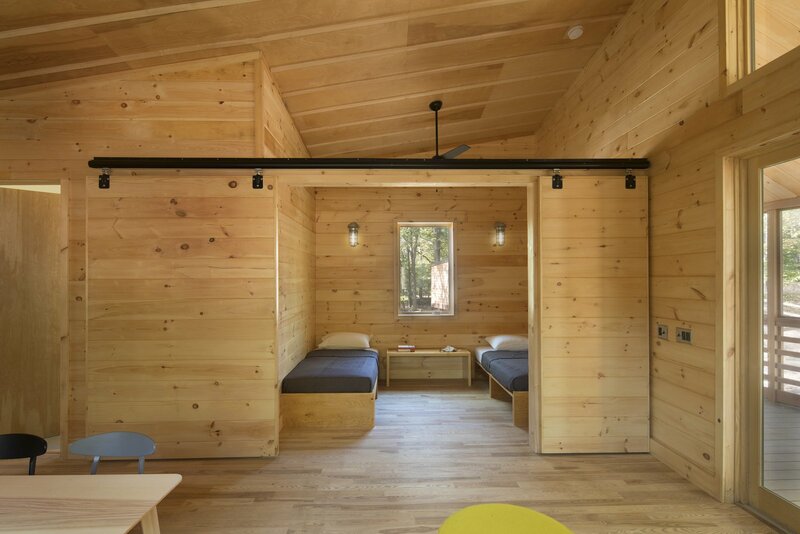 While the usual image of a cabin in the woods is claustrophobic, window-starved and lacking in amenities, WXY’s design is anything but. 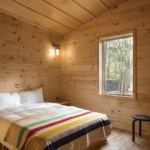 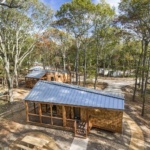 The contemporary one- and two-bedroom cabins range in size from over 600 to nearly 800 square feet and feature tall, sloping ceilings, flexible floor plans, full kitchens, and naturally lit interiors. 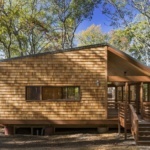 The exteriors of the cabins are clad in cedar shingles, with reclaimed mahogany detailing and metal roofing, allowing the structures to fit seamlessly in with existing Works Progress Administration (WPA) cabins that date from the 1930s. 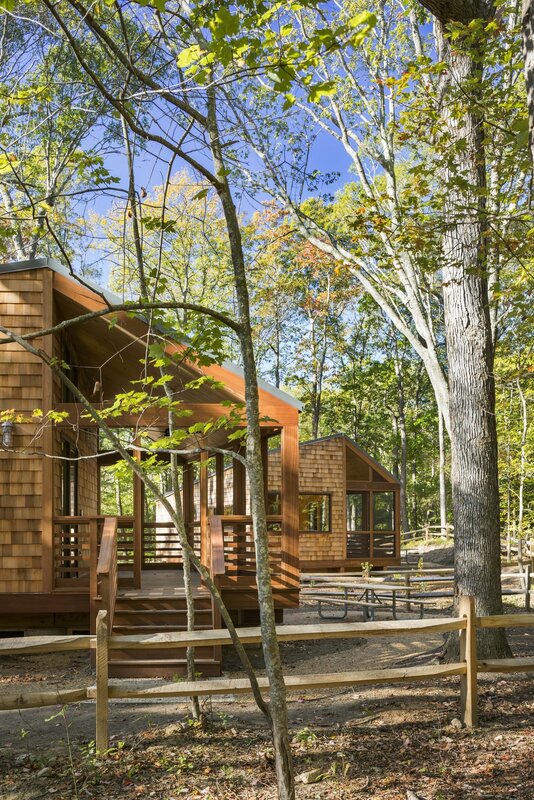 Designed to function across similar New York State campgrounds, WXY’s straightforward update of a classic design may very well end up in your neck of the woods. 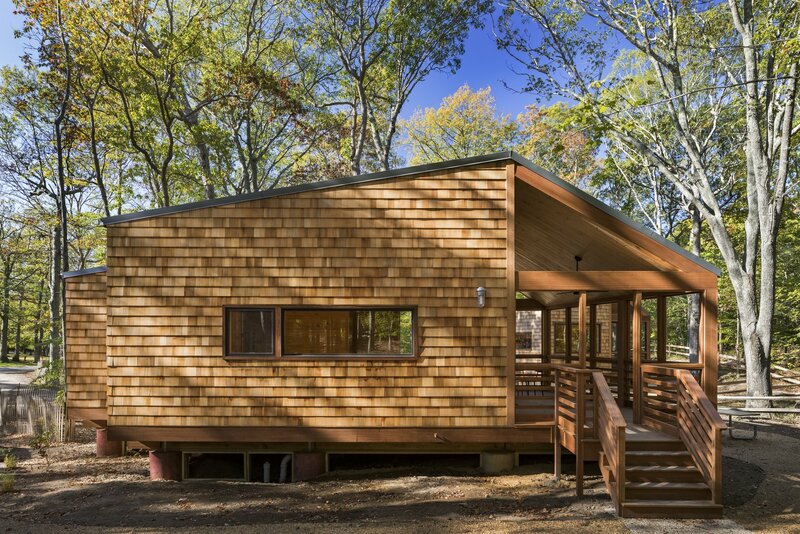 Claire Weisz, a principal of WXY, told Dwell the cabins were meant to be “robust, chunky, and larger in scale,” with sparse detailing that will allow the structures to “silver out” with age. 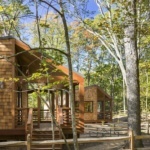 This is not the first time architects have forayed into the nation’s park system. 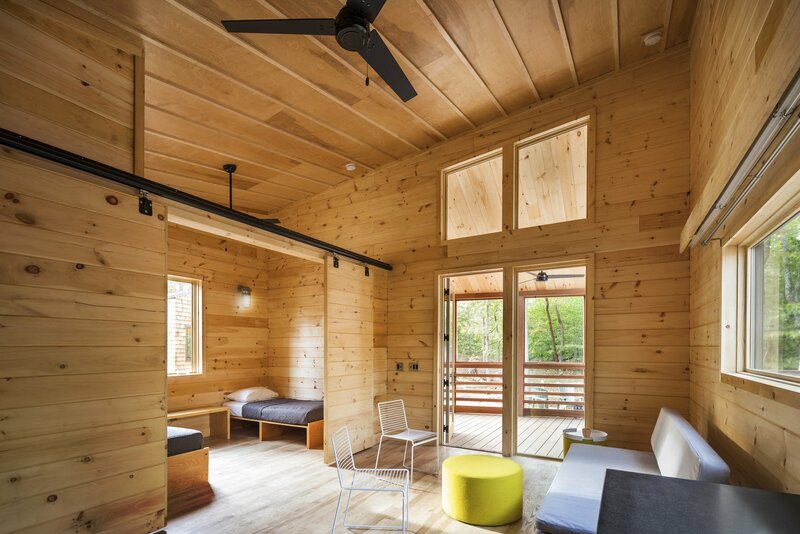 Minneapolis-based HGA won the 2016 American architectural award for its stylish cabins on concrete piers in Dakota County, Minnesota.